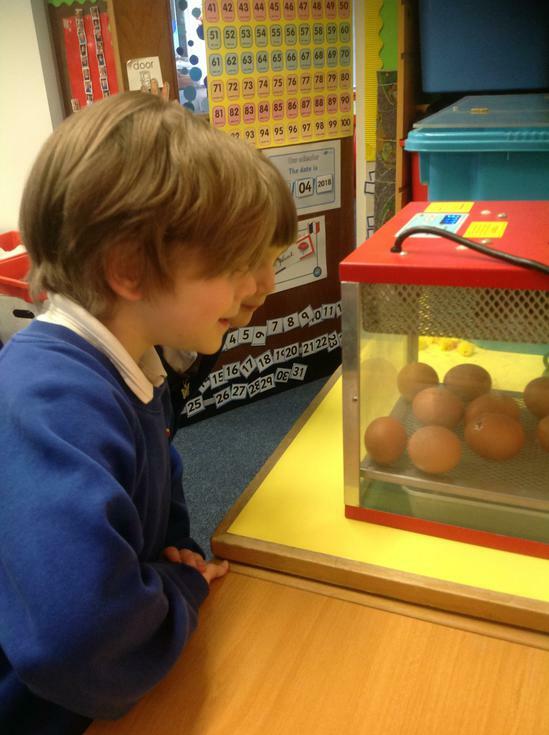 The eggs arrived safely on Monday 30th April 2018. 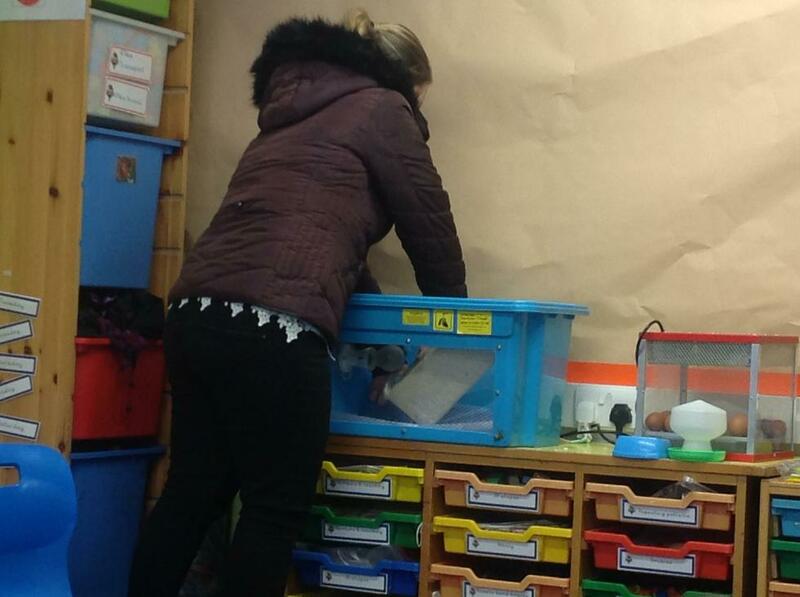 Owl class set up the incubator and brooder box and have been trying to be very quiet (I have even been told to "shhhhhh" when I've popped in to visit). 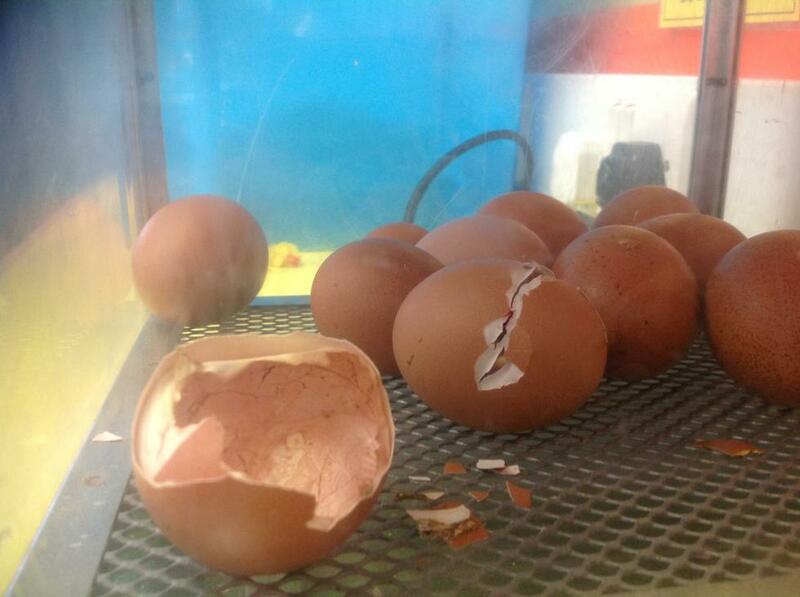 We've been on egg watch ever since. 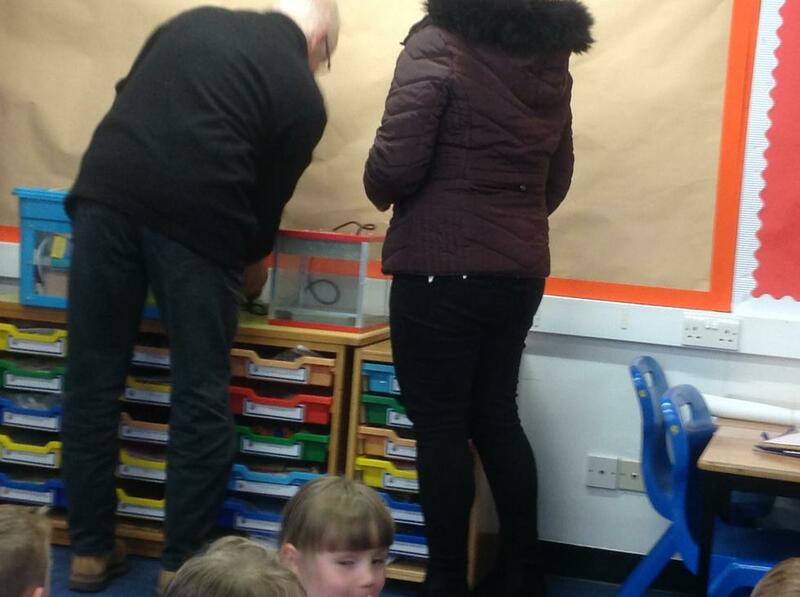 Some of the other classes have been in to check on the progress. 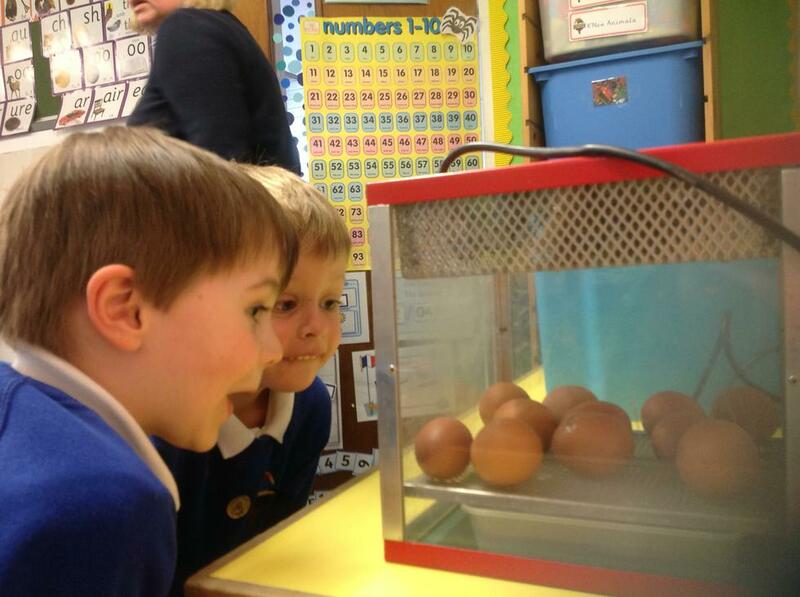 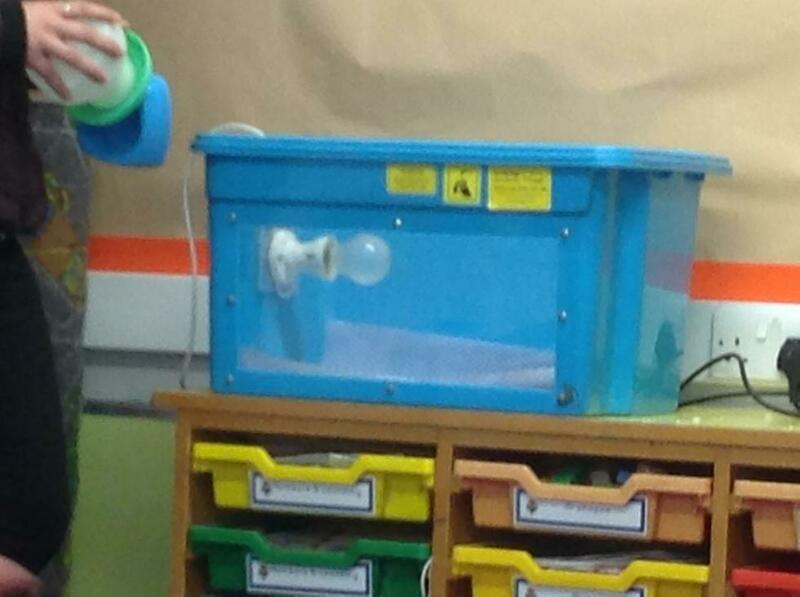 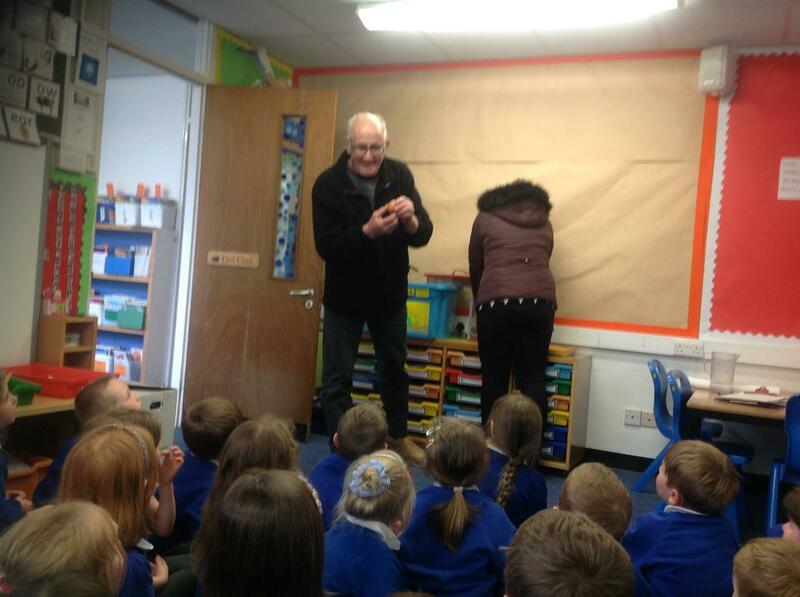 Today we had the exciting news of 2 eggs hatching! 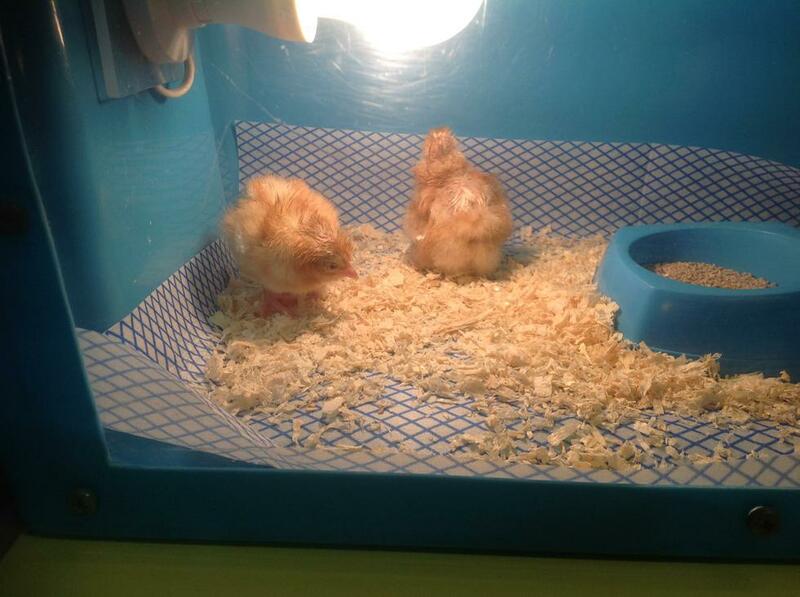 We are still not sure if they are boys or girls as they are drying out. 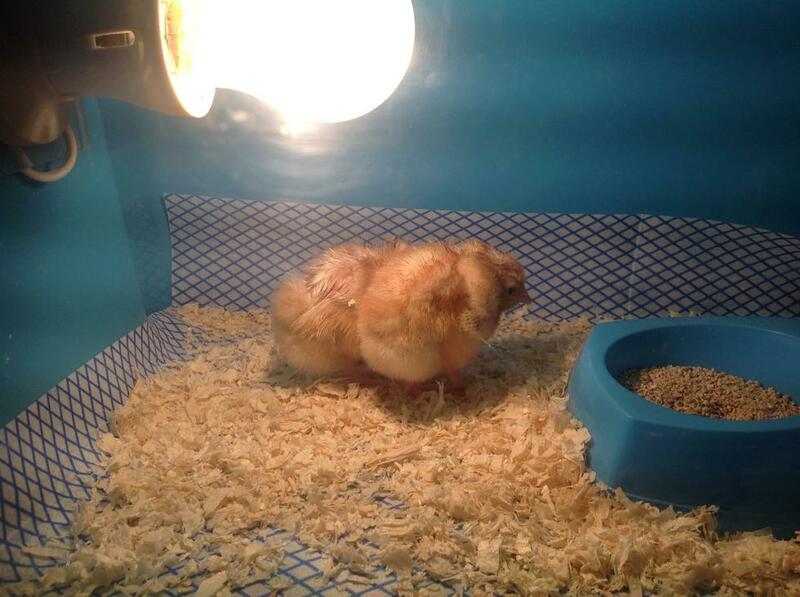 Their names are "Tommy" and "Eva" - these names were chosen by Sophie and Jessica and were drawn out of a hat. 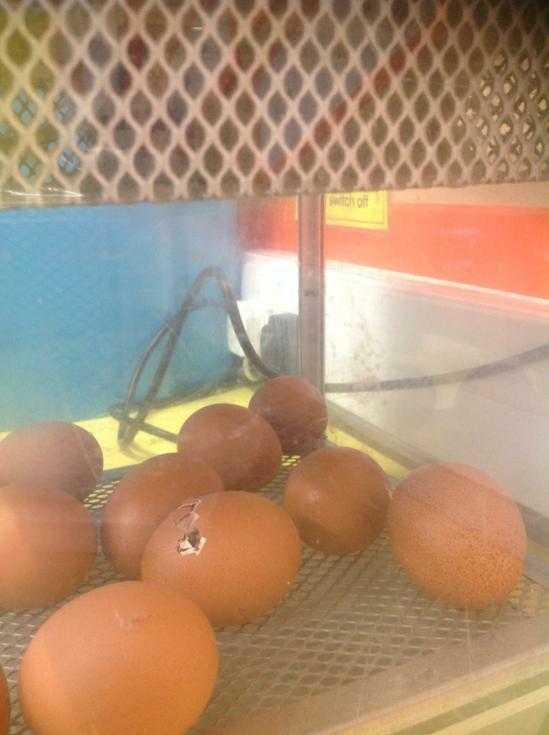 Unfortunately we had a lot of drama with the 4th chick (who was named Sticky Steve). 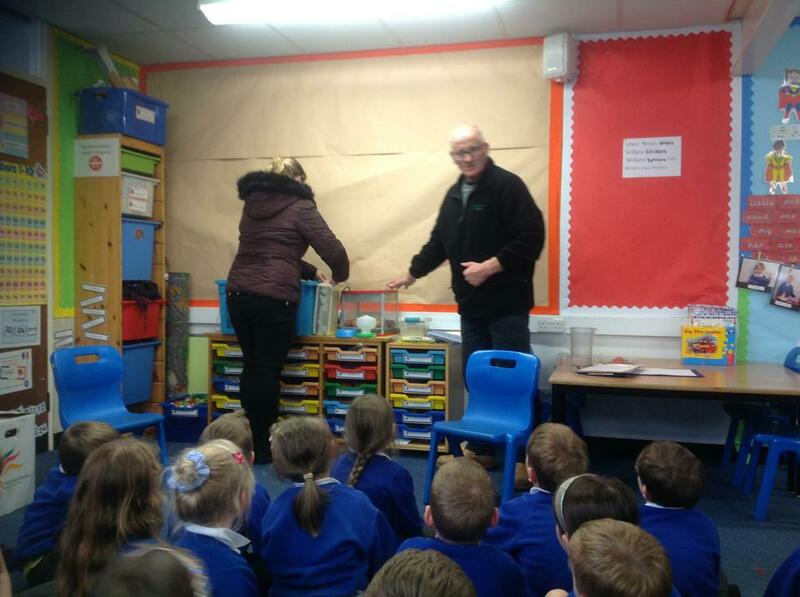 She became trapped inside her egg and had to be helped out (this should RARELY be done and was done under strict instruction from the Living Eggs company). 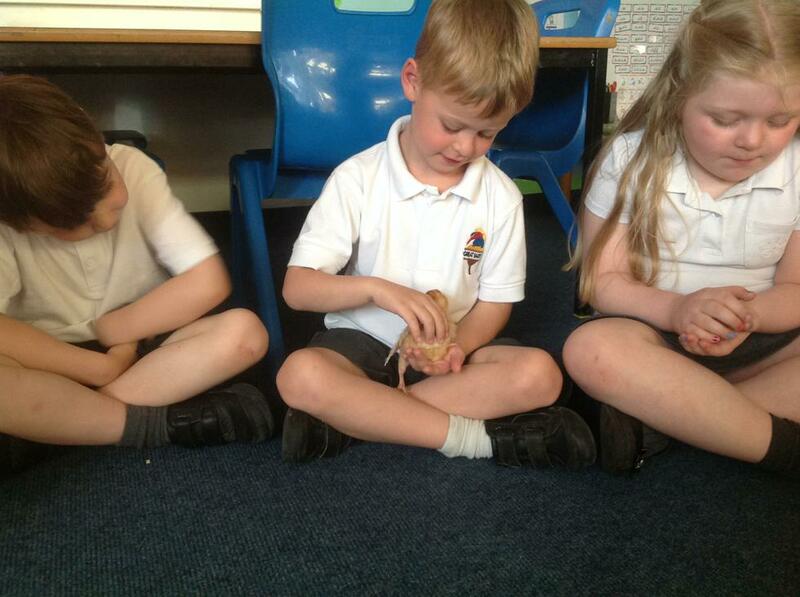 We were worried that Sticky Steve would not make it through the night. 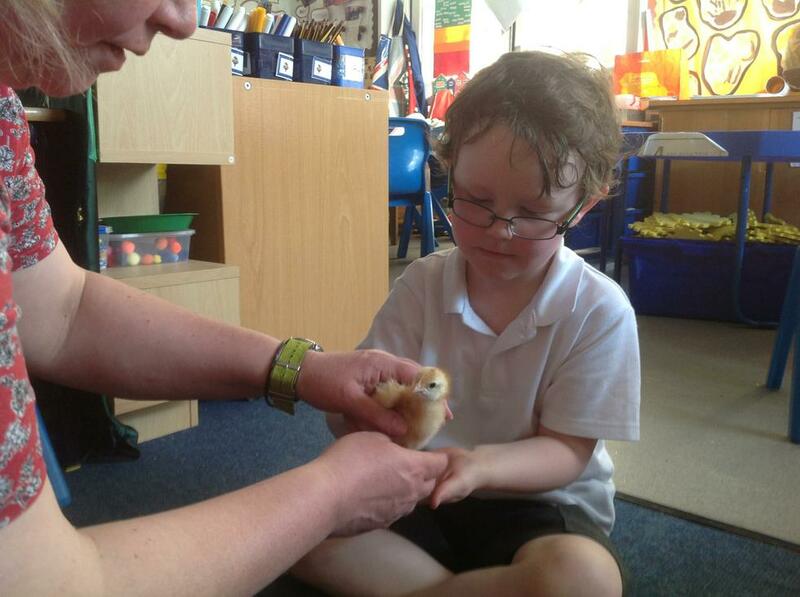 Mrs Mizen took the chicks away for the Bank Holiday weekend and Sticky Steve managed to pull through! 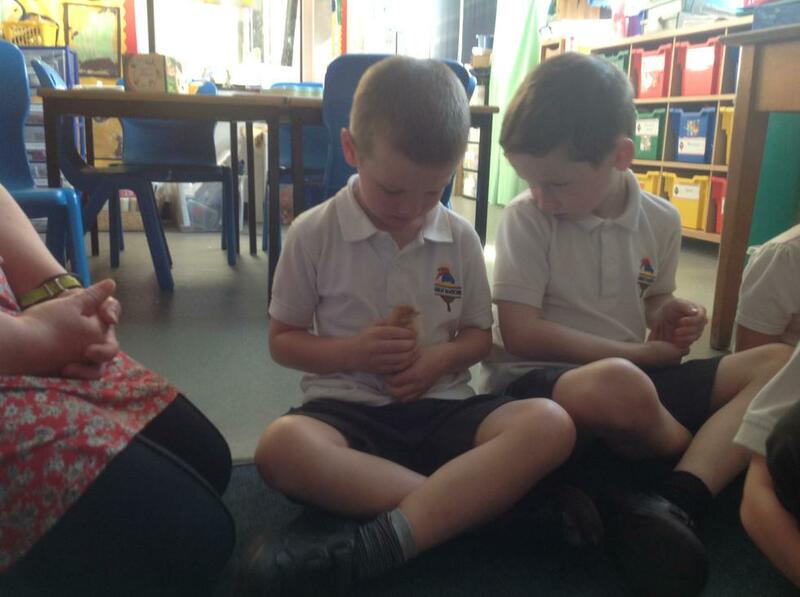 All 4 chicks returned safely to school on Tuesday. 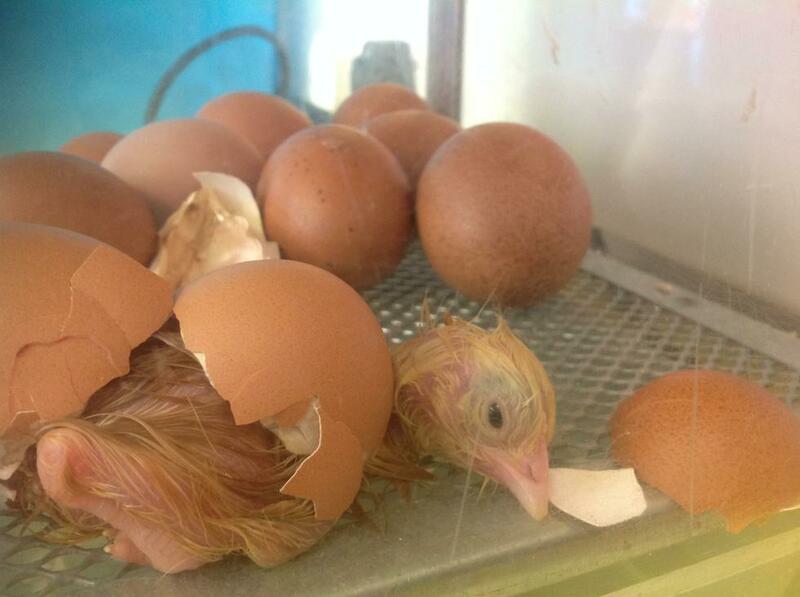 Sticky Steve is a little bit smaller than her sisters, but is doing really well. 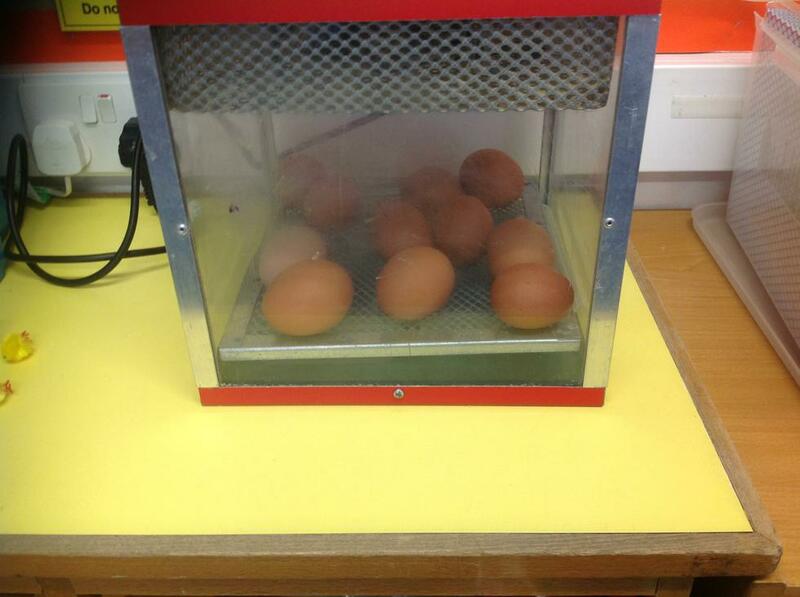 Because we had a bit of a drama and a very low hatch success, we will be getting some more eggs later on in the summer term, in the hopes we will have a better experience. 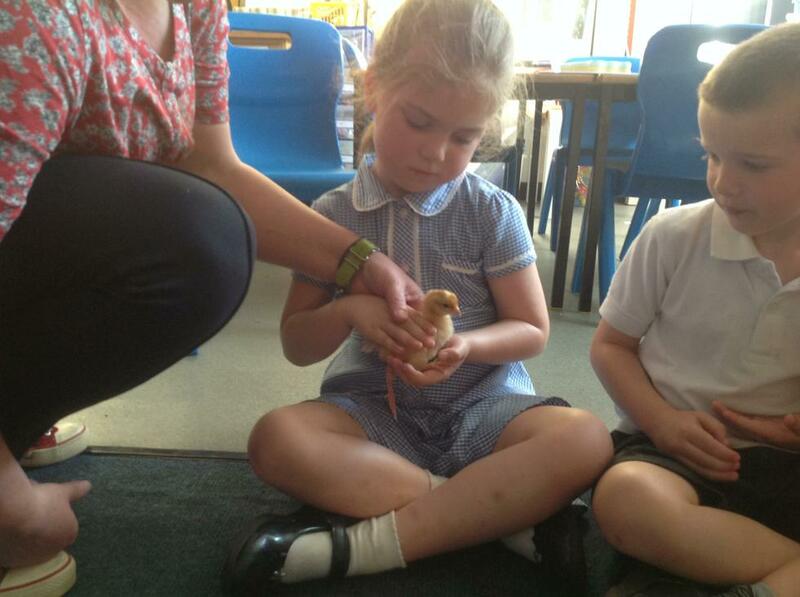 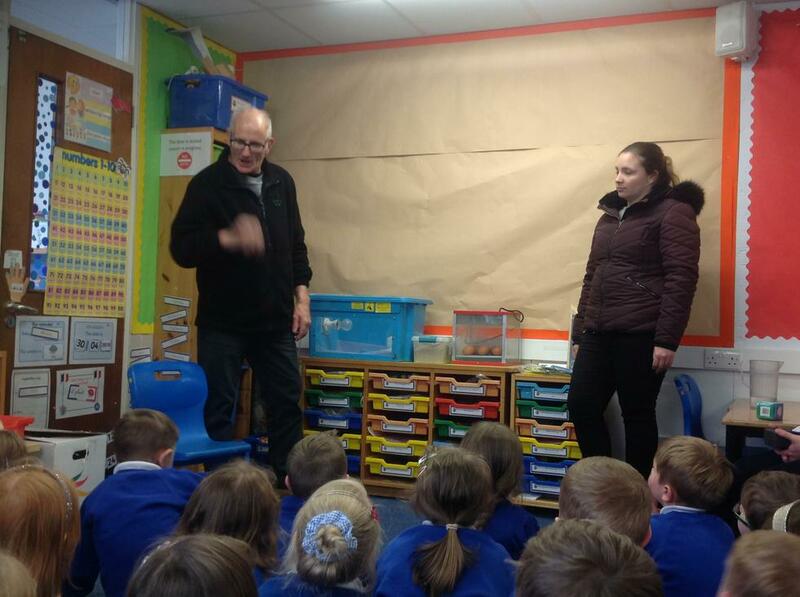 The children have been thoroughly loving the experience so far and we have seen awe and wonder on their faces, particularly during the hatching process. 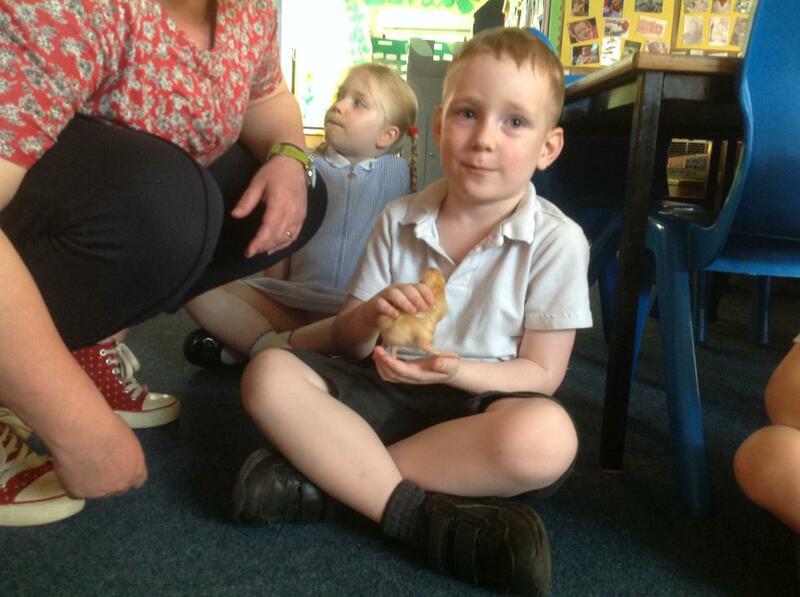 Owl class children have been particularly keen to draw and write about the chicks.